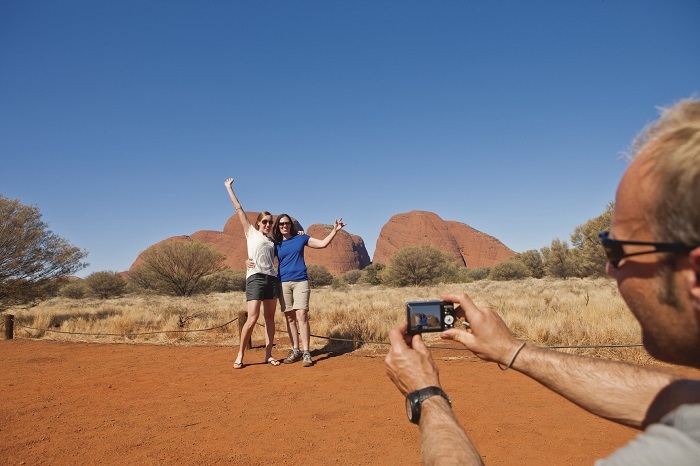 Explore the magic of Uluru on this 3-day adventure that takes you to the heart of Australia’s Red Centre. 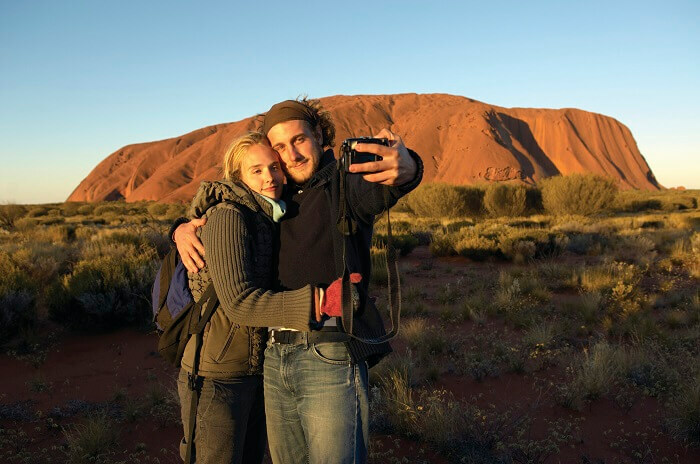 On one of our Uluru Tours, you’ll get up close and personal with one of the country’s most iconic landmarks, discover the breath-taking landscape of Kings Canyon, and learn more about the fascinating cultural heritage that is so prevalent in the region. Please note: this tour is suitable for passengers aged 18 – 49 years. 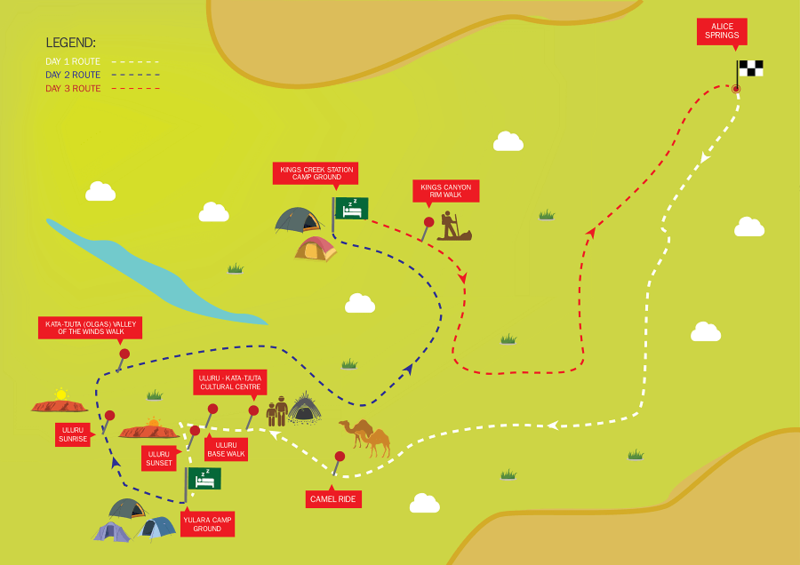 This is due to the nature of the accommodation (swag camping), the hikes (up to 8 kms a day in the heat), and the style of tour (catered to a younger crowd). If you are older and all of this sounds like fun you are welcome to join the tour, just have chat to us. Field of Light Upgrade: add the magic of the Field of Light art installation by Bruce Munro to your 3 Day Uluru Tour – $43 per person. Upgrades are subject to availability, so please call us to check availability prior to booking. Day one begins at 6am as we pick you up and make our way to Uluru. On and the way we enjoy a complimentary camel ride. Once we’ve had lunch, we’ll head straight to the Cultural Centre, where you can learn more about the wildlife and the local Aboriginal people in this part of Australia. Afterwards, you’ll get to take a guided walk around the base of Uluru before watching the sunset behind this impressive monolith with bubbly and nibbles. We’ll head back to camp for a hearty dinner and then sleep under the stars. 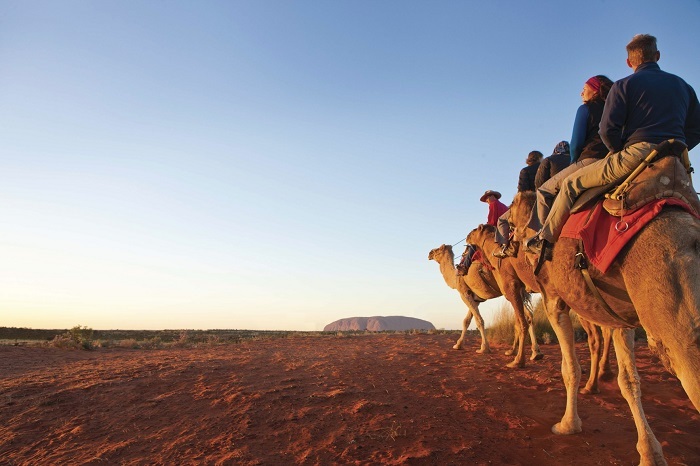 Tuck into breakfast before watching the sunrise over Uluru. Soak up the beauty as the monolith turns from an inky shadow into a vibrant golden colour. 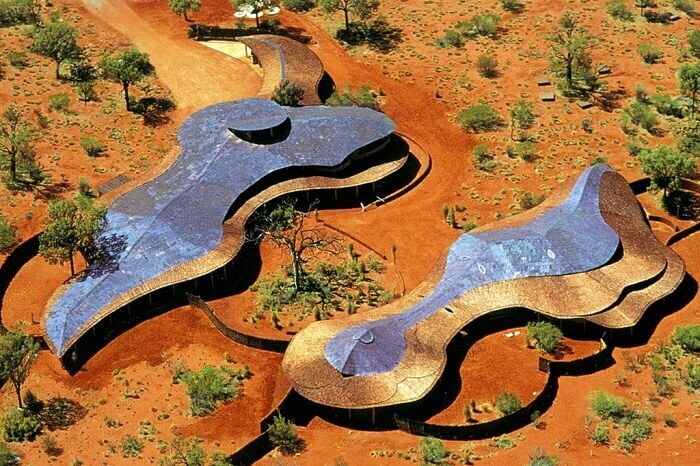 We’ll then make our way to Kata Tjuta for a stroll through the Valley of the Winds. Then it’s time for lunch. After we’ve refueled, we’ll move on to Kings Creek Station, stopping on the way to enjoy the George Gill Range. Once we’ve arrived, we’ll have a traditional Aussie BBQ dinner around the campfire before another night sleeping under the stars. 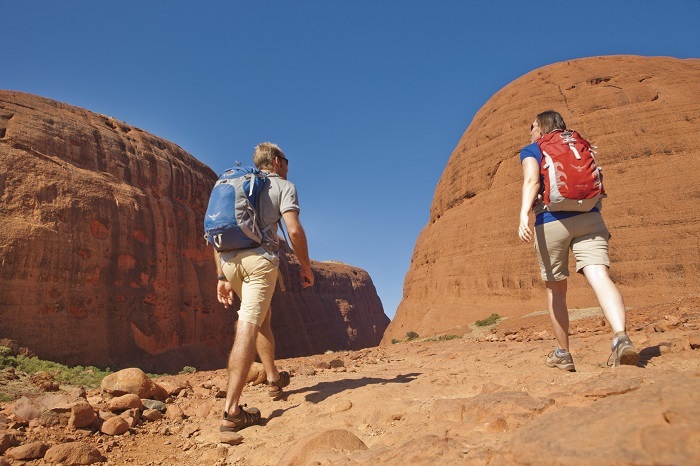 It’s another early start on day three as we take a walk around the breath-taking rim of Kings Canyon. We’ll check out the north and south walls, the Garden of Eden, and the Natural Amphitheatre. The tour comes to an end in Alice Springs in the late afternoon.